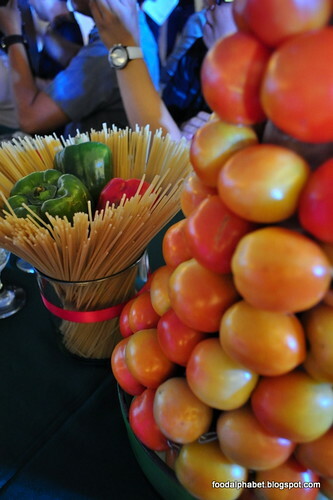 The Food Alphabet and More: More is always better with Greenwich pasta! Greenwich tapped three of today’s most beautiful and talented celebrities, who all agree that More is Better, just like the new Greenwich Spaghetti Supreme. Their stories tell that something better definitely awaits those who give more. Just like Anne, Solenn and Kelly, Greenwich gives more to its loyal kabarkadas with the new and improved Greenwich Spaghetti Supreme. Satisfying the customers is always Greenwich’s top of mind. This is the reason why the Greenwich Spaghetti Supreme is made better than ever with the added 25% serving of noodles, more premium beef, more sweet tomato sauce and served with 1pc. Garlic Stix still only P49. More of the yummy goodness for a more filling feast. Visit the nearest Greenwich store and find out what Greenwich Spaghetti Supreme, Anne, Kelly and Solenn mean when they say More is Better. Thankfully, Greenwich, the country’s favorite pizza and pasta chain, knows and understands what the customers desire. Its familiarity with the Filipino palate as well as the fun that goes with sipping on strands of al dente noodles pushed Greenwich to come up with a satisfying spaghetti formula that equals to a full tummy and a happy customer. Greenwich has made spaghetti enjoyment even better to give its loyal followers more reasons to agree as to why Greenwich is the Favorite ng Barkada. The new and improved Greenwich Spaghetti Supreme brings more flavor and goodness to spaghetti that guarantees a better than ever pasta experience. There is really no stopping the flow of enjoyment and fun in Greenwich with the new Greenwich Spaghetti Supreme. With more sumptuous additions, more people will fall in love over and over with the all-time favorite spaghetti. 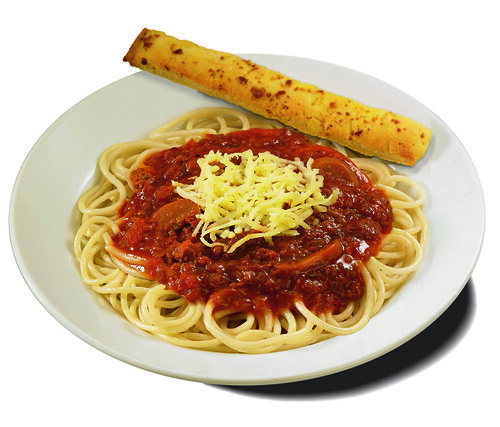 Greenwich Spaghetti Supreme: More noodles, more sweet tomato sauce, more premium beef and served with a piece of Garlic Stix still at P49. Because more is better.